We surprise even ourselves in this week's round up of the best that mobile gaming has to offer. Had you told me a week ago that today I'd be singing the praises of a game that's not only yet another sprawling empire-builder, but a paid-for game with a cash-shop tacked onto it, then I would have suggested that either you, or I, had gone quite mad. I would have argued that a game like Bad Hotel, with its dark atmosphere, original twist on tower defense, and chilling soundtrack would have grabbed my attention instead. It certainly did do that, and it's the sort of game I find myself gravitating towards and falling in love with: the weird, the wonderful, and the sort of refreshing experience that could only be a product of indie mobile gaming. We've railed against the endless demands of the average kingdom building cash-shop in the past, but Puzzle Craft bypasses this most horrible aspect of mobile gaming in one key way: all of the money you need can be earned quite comfortably from the fantastic match-three gameplay, and only the most impatient would feel moved to hit up the cash store to speed things up. 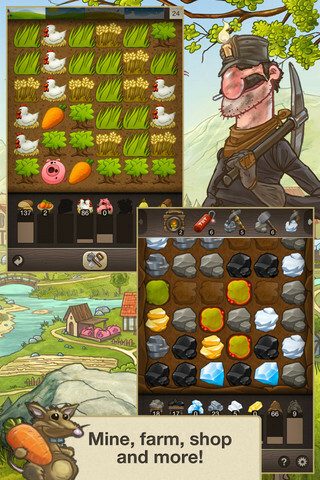 It's a fantastic game that layers upgrade upon upgrade as you acquire new buildings, improve your farming efficiency with tools and workers, and build a magnificent kingdom. We're not going to stop playing this game until we've exhausted every expansion option, and we don't think you will either. It's no great secret that finding the brighter gems on the Android platform is a trickier task in our weekly round-up. It's no different this week, but while Monster Story and Tic Tac Toe Glow both certainly have their charms, we can only recommend Tavern Quest as our pick of the bunch. Your task? 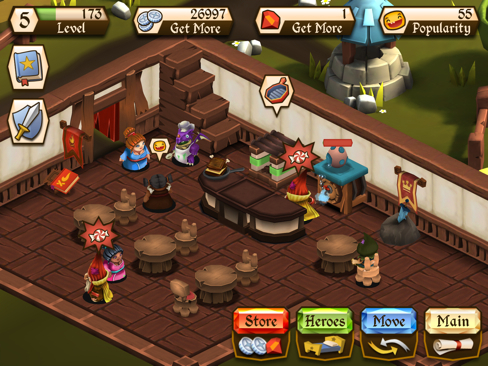 Build a tavern fit for 50 different bold adventurers who can then be taken out on the battlefield to earn cash and loot. A freemium game it may be, and you'll likely hit the paywall sooner rather than later, but if you're looking for a beautifully crafted game to dip into only occasionally, then you'll struggle to find anything better.